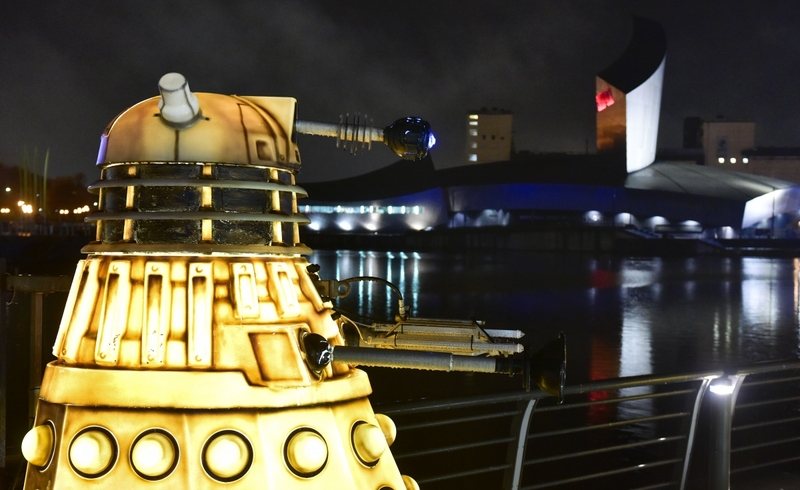 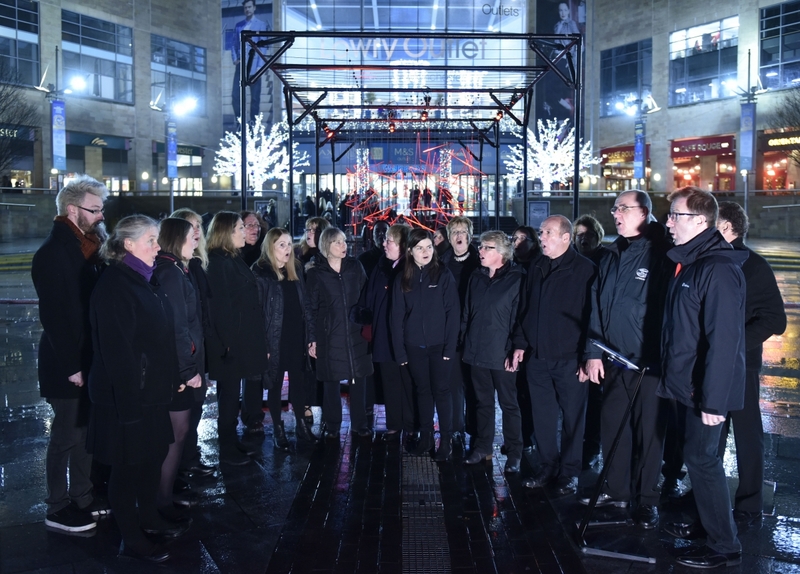 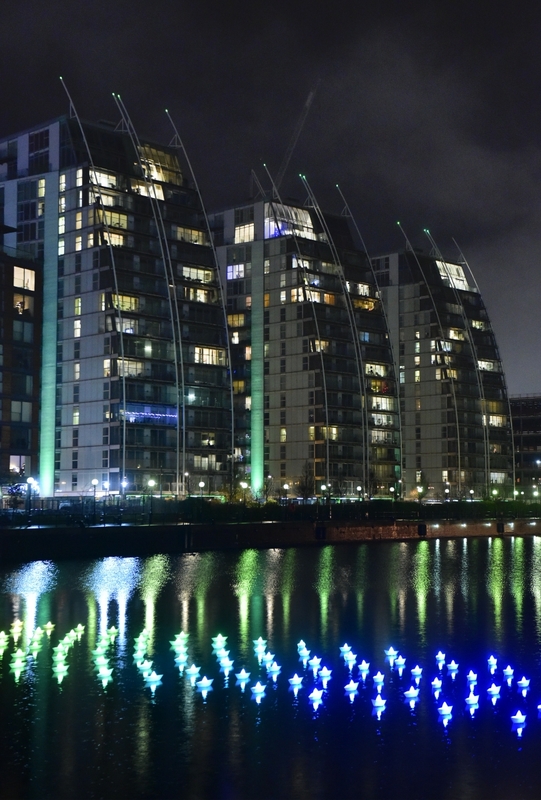 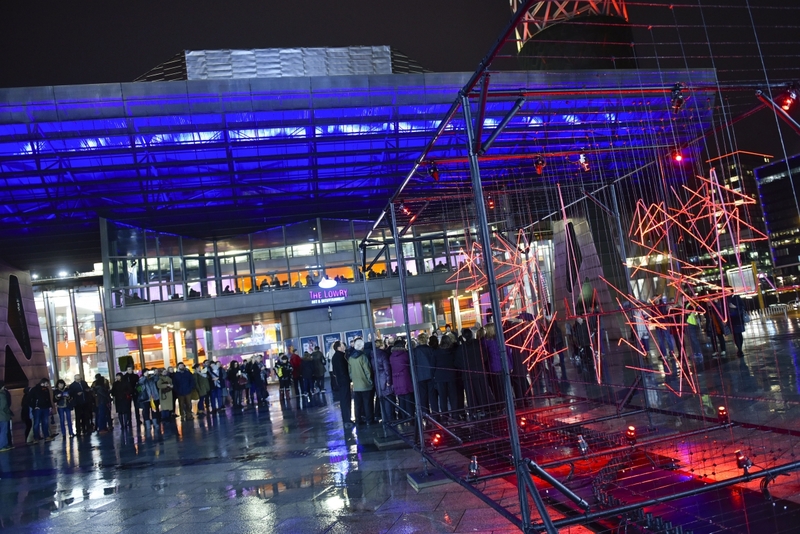 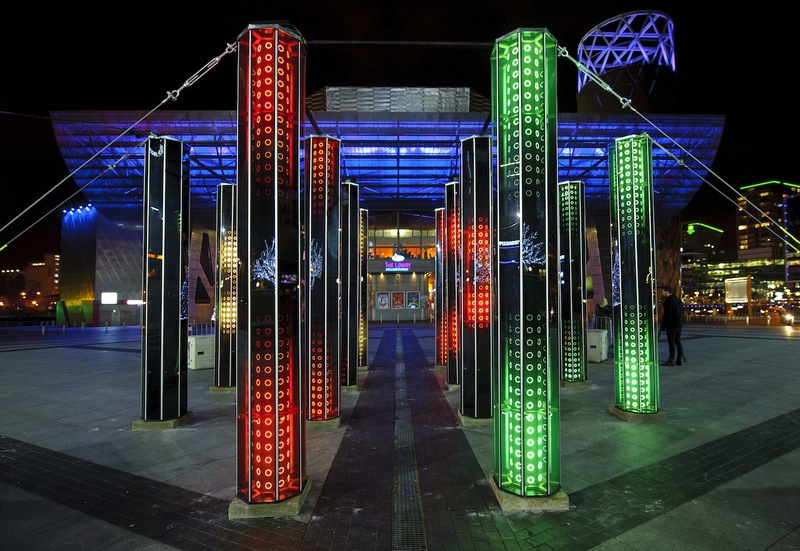 Following on from the success of last year, Lightwaves returned to Salford Quays/MediaCityUK from 9th– 18th December and as always, everything was free! 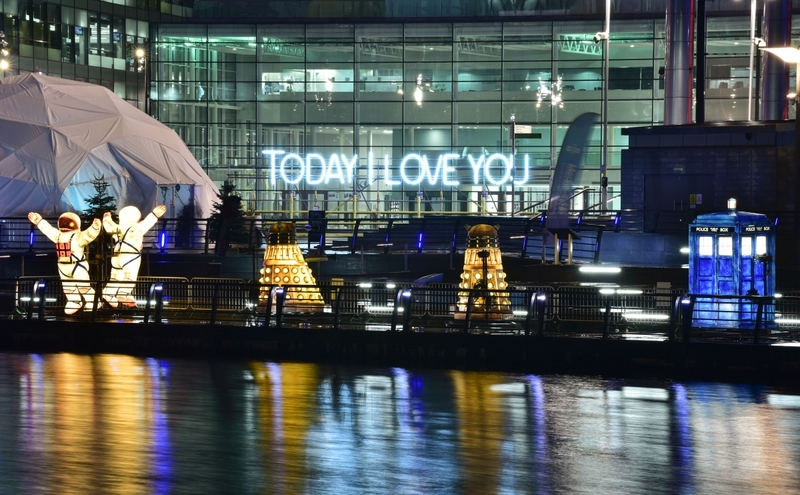 A total of 9 artworks spanned across The Quays, from the Plaza between The Lowry and the Lowry Outlet, to MediaCityUK’s Piazza, and even in the River Irwell. 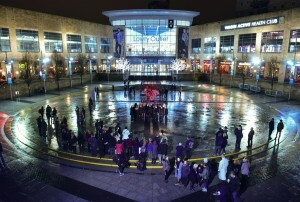 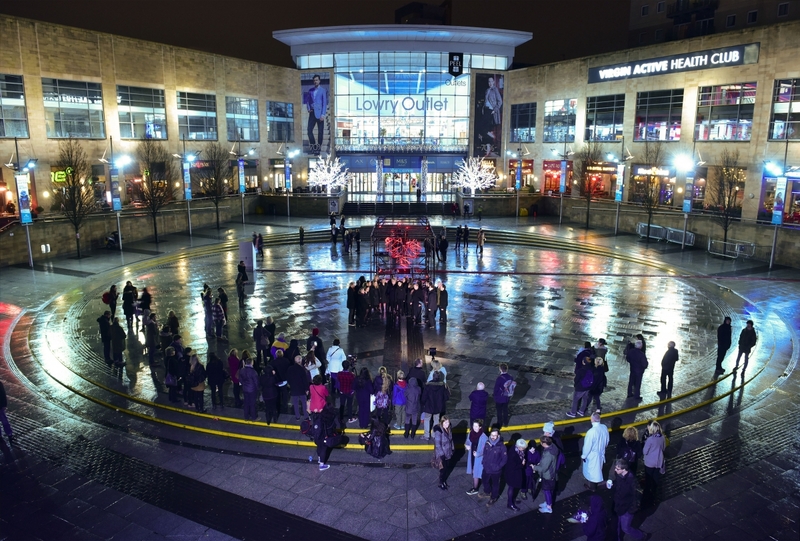 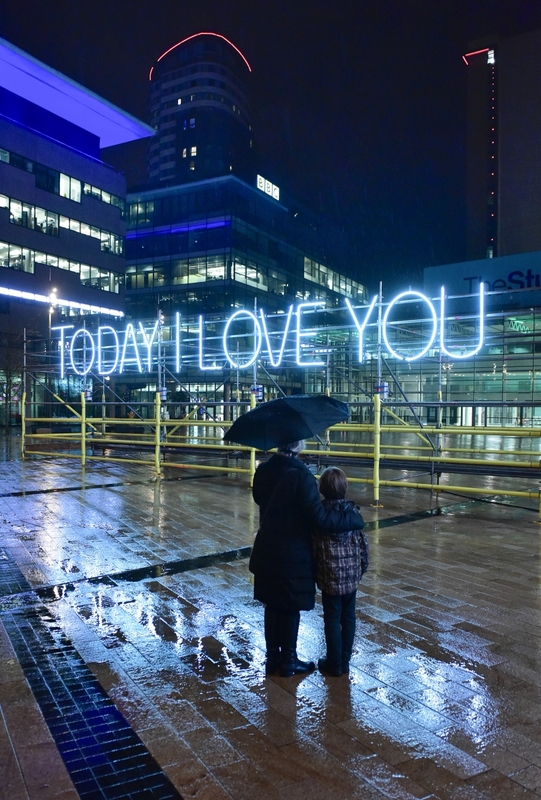 Brand new large-scale commission Heart Beat by artists and installation specialists, GNI Projects encouraged visitors to make a connection of love or friendship, by joining hands in front of the sculpture to complete the ‘circuit’ and reveal the symbol of a heart. 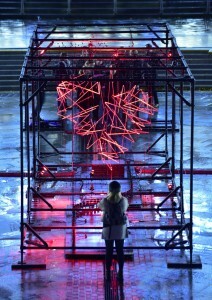 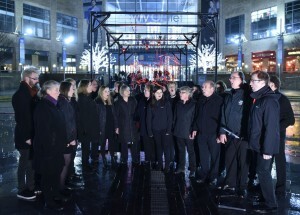 Heart Beat was co-commissioned with Blackpool Illuminations. 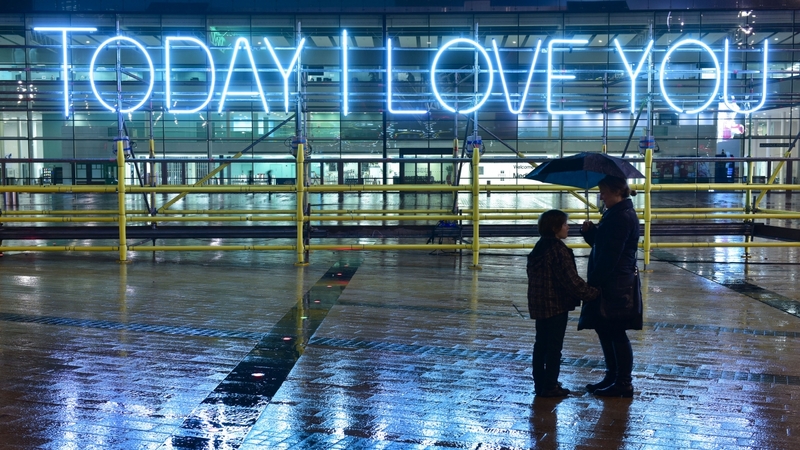 Emerging talent programme SHINE, in partnership with Leeds Light Night, saw the creation of three new commissions from three up-and-coming artists. 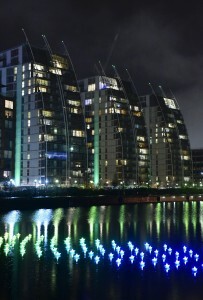 Footsteps, by Sam Sebbage, consisted of 80 illuminated footsteps walking a path. Edyta Mąsior’s Laiki#5 was an interactive installation which creates harp-like sounds when played. 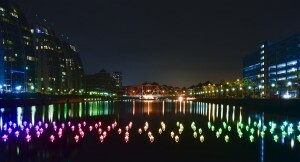 Fire Flies, a creation from Fixed Grinn Collective, consisted of hundreds of floating LED spheres, which interacted with their surroundings as they flew amongst the trees. 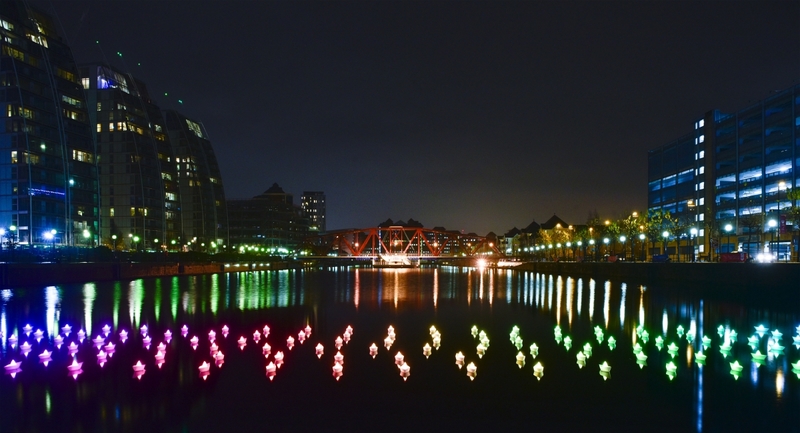 As part of Quays Culture’s Northern Artist Film Competition, Chris Paul Daniels and Sam Meech won the new commission category. 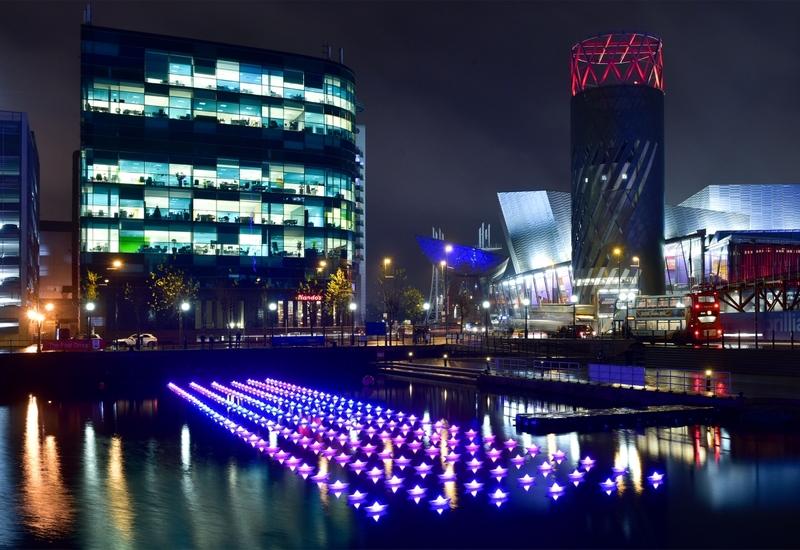 Their film, One Square Mile, co-commissioned with University of Salford, explores environments, architecture and communities within one square mile of Salford Quays and MediaCityUK. 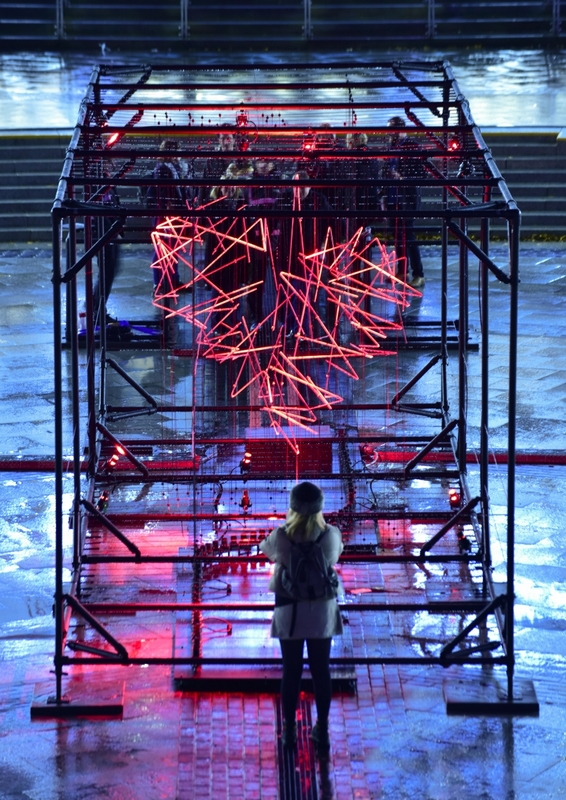 Screened in a shipping container on location, the commission was accompanied by Artist Films from Cecilia Stenbom, Antony Barkworth-Knight and Declan Colquitt, all of whom were commended in the Open Call strand of the competition. 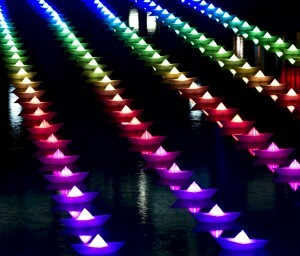 Voyage by Aether & Hemera featured a total of 198 origami boats floating on the water in Dock 9. 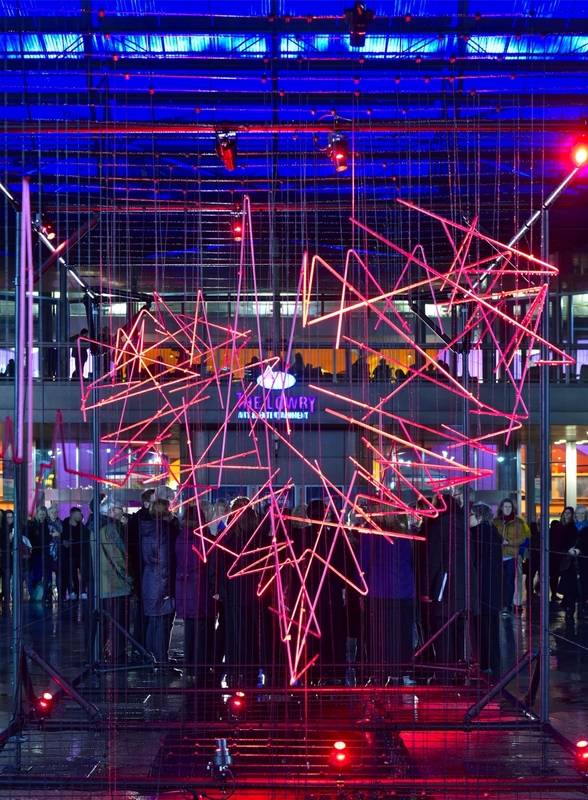 Visitors were able to control the light settings of this piece using their mobile phones, transforming the pattern and colour in real-time. 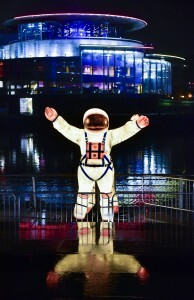 Today I Love You, created by Massimo Uberti & Marco Pollice stood tall on MediaCityUK’s Piazza. 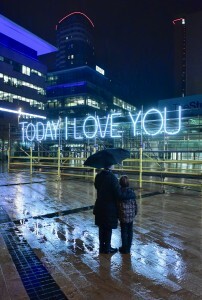 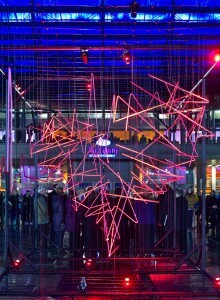 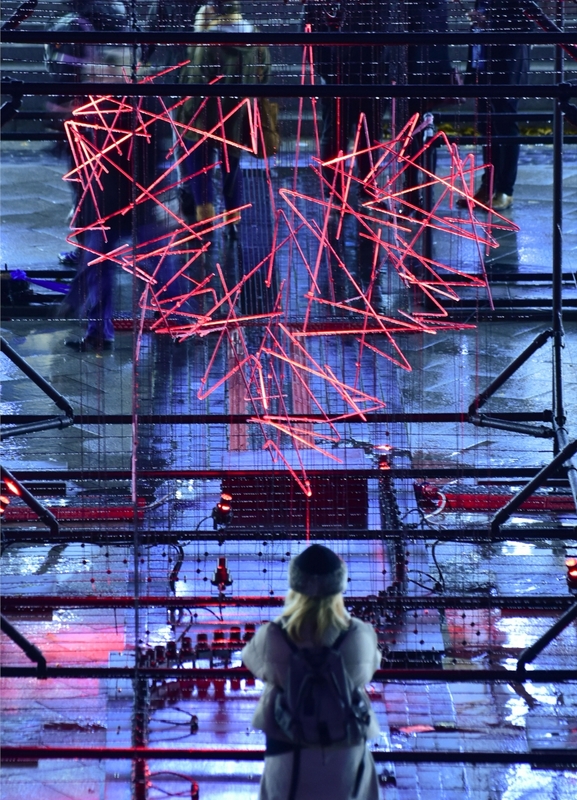 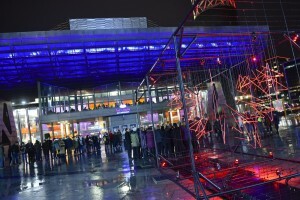 The presentation of this work marks the beginning of a partnership between Quays Culture and Amsterdam Light Festival. 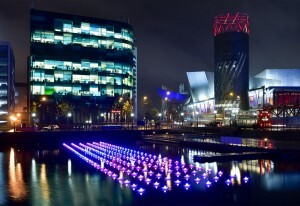 Salford saw slice of Blackpool come to The Quays and MediaCityUK, with a selection of their world-famous illuminations taking residence on the waterside and in the gardens. 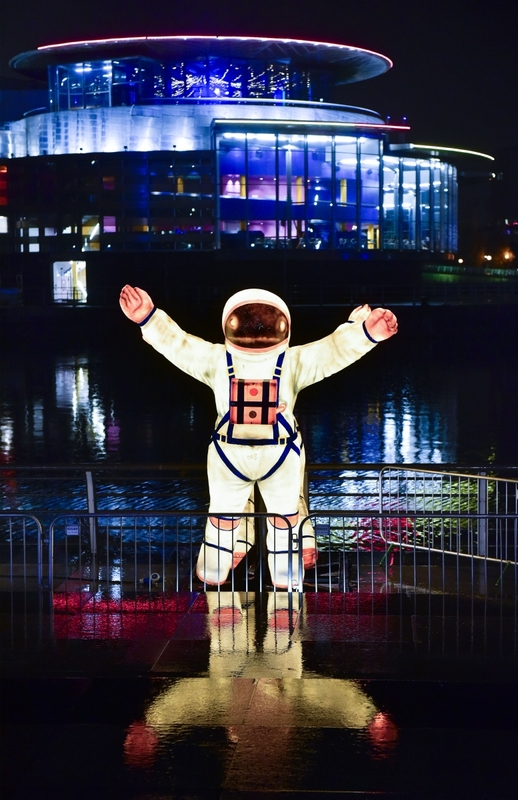 There were TV favourites from past and present including Dr Who Daleks, Postman Pat, Noddy and Spongebob Squarepants, as well as a forest of beautiful LED trees and some astronomically large spacemen.